Competitive video gaming, or esports as it’s commonly known, is getting a major shot in the arm: ESPN has launched a dedicated section on its site and apps with in-depth reportage of the fast-growing $500 million industry. The sports media giant promises video, news on the current and future state of esports, offseason grades that look back on the past season of multiple league championships from around the world and profiles on gamers who have influenced the meteoric rise of esports. It’s not a sport, it’s a competition. Chess is a competition. Checkers is a competition. Mostly I’m interested in doing real sports. Besides launching a new esports section on its site, the company says it will also cover the opening weekend of the North America League of Legends Championship Series starting January 16. ESPN’s new editorial team will appear on mainstream shows like SportsCenter to share news with viewers. ESPN is bringing on board Darin Kwilinski, formerly managing editor at the esports media company Azubu, as well as Rod Breslau and Tyler Erzberger from esports news site TheScore. Fans will find the same level of quality content and journalism that users of ESPN.com have come to expect, including in-depth looks at the competitive gaming world and on-site reporting from the major tournaments. The new esports site features sections for popular competitive games League of Legends, Dota 2 and Hearthstone: Heroes of Warcraft. ESPN has previously carried live coverage of The International Dota 2 Championships over the past two years and its magazine released an esports issue last May. 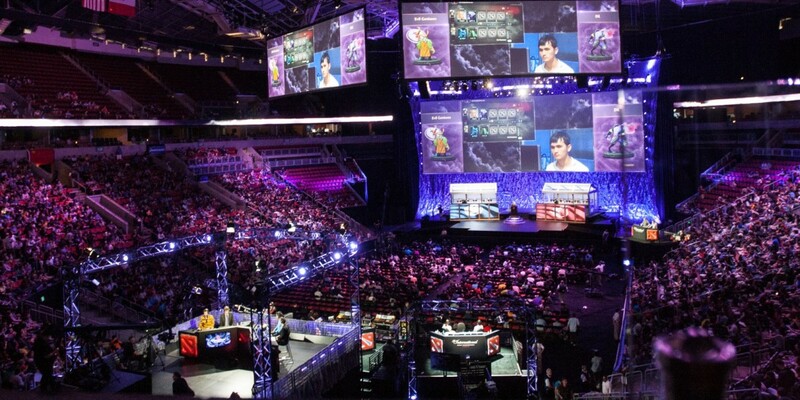 It’ll be interesting to see how dedicated esports fans take to ESPN’s new venture and if it can introduce competitive gaming to a wider audience with its mainstream cred.